Briefing your event staffing partner may seem like the most straight forward task on your ‘To Do’ list, but the value in giving these briefs the fullest depth and consideration can be undervalued. 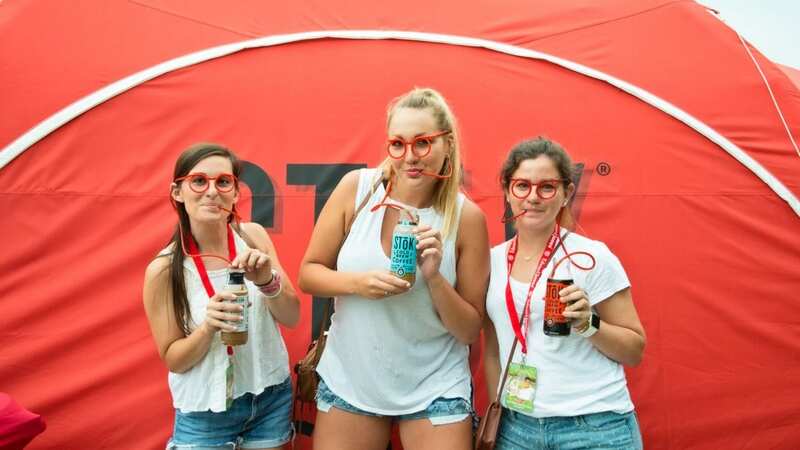 You’re an expert marketer who’s delivered hundreds of activations involving promotional staff. Is there a way to brief your staffing agency better? Here’s five things to consider when you brief your staffing partner. We all know how limited time is in our lives and it can feel easy to demand a solution the exact way you want it, without considering another route. When working with any staffing agency worth their salt, you are able to lean on them for their expertise and let them guide you to the most efficient and effective solution. From delivering the right staffing structure to ensure that the campaign delivers its KPI’s, through to how to best format staffing at a festival activation, your staffing agency will draw on its wealth of expertise and experience to best advise you. Getting items such as these wrong could cause additional budget spend and worse, hinder your campaign from hitting its targets. Be open to different perspectives and explore their suggestions. Established relationships are a main driver in how we deliver work on a day to day basis. Each side has learned how the other works, what the other will need in order to achieve positive end results. However, sometimes we can be trapped by our existing relationships. Think about what your go-to event staffing partner specializes in and if they truly fit the brief you have at hand. If it’s not a perfect match this time, then they’ll understand and your relationship will be stronger for being able to make these calls. Identifying the specialist requirements in a brief and utilizing the right partner, can make or break a campaign. Feel like you don’t want to disclose all the information at an early stage? Perhaps your program is still being signed off in full – it’s understandable. Get your staffing agency to sign a solid NDA and give your supplier as much information, as soon as feasible. Without all the detail, your specialist staffing partner won’t be able to share their expertise as fully as possible and can result in unnecessary recuts of proposals. Paint as full a picture as possible, and allow your supplier to be armed with all the tools to give you the best result (and the best fit promotional staff) that they can. You’ve spent a huge amount of time planning, with countless late nights and early mornings. However, you still haven’t briefed your staffing supplier yet; why? With brand ambassadors being the last line of defense between your creative execution and your target customers, staffing should be a high priority planning item. With promotional staff being a high value line item in your budget, give your staffing supplier as much time as possible to allow them to provide you with the best product possible. Are you available this coming Saturday night? Possibly not at such short notice, and nor would the best promotional staff be. Whilst we all understand the importance of measurability, the opportunity for consumer insight collection via promotional staff can be underestimated. Work with your event staffing partner and investigate the full opportunity for data capture. Sample numbers, footfall, busiest periods, consumer comments – there’s so much more opportunity than these basics! Your promotional staff have your consumers ear and your product in hand for hours at a time. A quality staffing supplier will know how to train their staff to and extra this valuable insight, to ensure the best quality feedback. How can you afford to miss out on an opportunity to fully exploit this exposure? At Elevate, we always encourage our clients to work with our teams in a true partnership capacity. Guiding our clients to a staffing solution that truly aligns with their execution goals, is key to us when working with a client on a staffing strategy. We work as an extension of your team and use tools to ensure we land on a result that delivers on all requirements. A simple yet effective tool is a clear and concise briefing template we use across all client promotional staff requests.